Luis Rego’s Portuguese-accented English has been kneaded and stretched into a Northern New Jersey growl, the product of 17 years working as driver, bodyguard and right hand man to the scion of a notable New Jersey clan. “I was very fortunate to work for the boss because I got to know everybody,” says the chef of Phnom Penh’s sole (n’Codfish) Portuguese outpost of his time in the US-of-A. Fitting, then, that the restaurant Luis and his wife Fatima Borges founded is named after a beloved family man – Fatima’s father. BBQs, Champagne – and Bubbles the Chimp? Those Gatsbyesque garden parties took place in Lawrence Township and were attended by a cocktail of Hollywood and Washington royalty: everybody from Michael Jackson to Jacqueline Kennedy Onassis. The gig was a hell-of-a break for the Porto native who grew up in the former Portuguese colony of Angola. He drove plenty of tabloid fodder around. He heard stories most major newspapers wouldn’t risk breaking and that he wouldn’t dare spill. “That was all-in-a normal day for me,” he says. Luis preferred to break eggs. To get to know the secrets of powerful people is the stuff of dreams for somebody; for Luis, it was access to the kitchens of New York’s top restaurants. Pictured: VIDEO LINK Colonel Sanders ain’t got nothing on these special spices (nor Beer). Fatima and Luis set up their Phnom Penh restaurant via trial runs in Penang, Malaysia, and Siem Reap – via Porto, Portugal, their colourful seaside birthright. Fatima is the businesswoman. Luis is still happily manning the BBQ but for Cambodian royalty, now – on occasion. Luis’ passion for cooking was instilled in him by his mother and aunt. In the family the kitchen was a woman’s domain but his sister arrived as the fifth child after four brothers: when it was time to teach one of the children to cook the responsibility fell to the youngest brother. And it took. 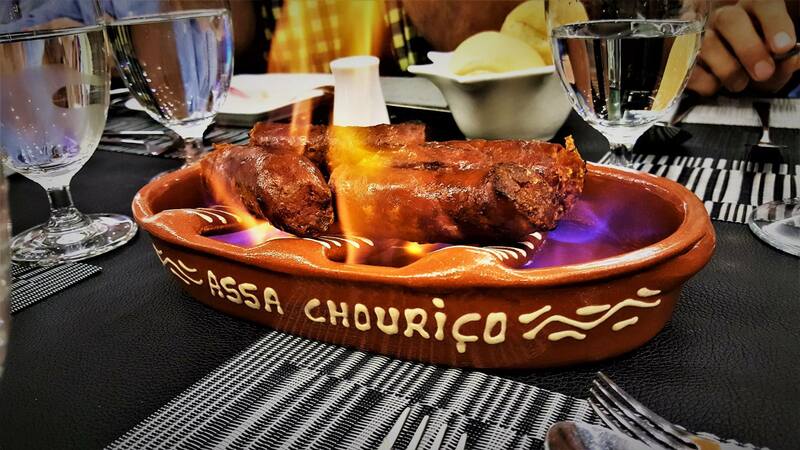 The tastes and smells of a boyhood in Portuguese Angola remains with him and he has plans to introduce the Angolan curry Muamba to the restaurant one day but the restaurateurs’ binding love is classical Portuguese cuisine, made in the traditional way and with the known ingredients. Anyone who truly loves food is necessarily catholic in the broadest sense and Luis still maintains strong connections to the Southern Africa of his childhood. The lobsters and other seafood the restaurant lands are pulled from Mozambique’s waters – when they can get them. 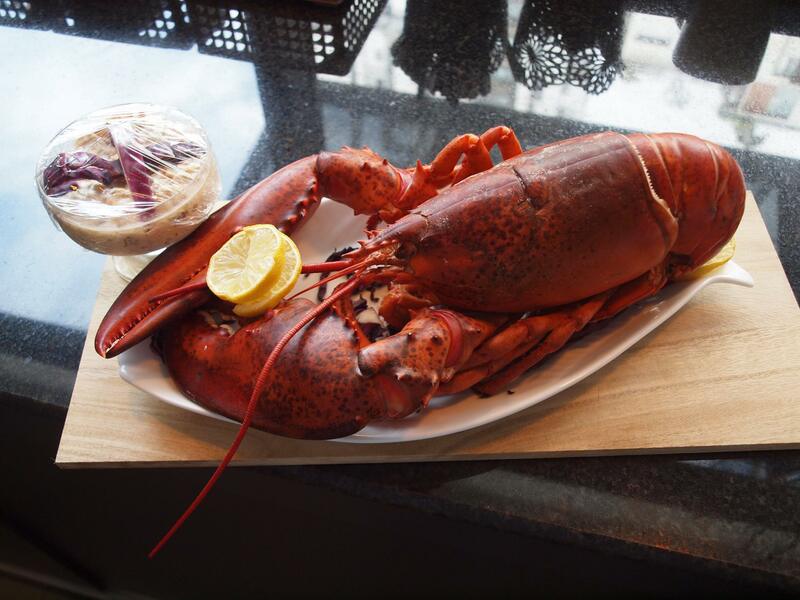 Luis says that Lobsters were once so plentiful on the shore of the Western Atlantic coast he explored as a child that he recalls seeing them clamber about the rock pools among plate-sized crab. With crab crab-walking to the grill the shrimp were the salted peanuts that came free with beer at the Luanda Bay beachside cafes and bars his father’s buddies drank in. “Now, if you want an Angolan lobster, you’ve got to pay with diamonds,” he says. And that’s no exaggeration; he knows a jungle-stalking mercenary who deals in both. Luis’ family returned to Porto when he was growing into double digits. It was there that he late shift – lucked into a culinary secret that he maintains to this day. The franschina, or “little Frenchie”, is stuffed with so much sausage and doused with so much beer that it should be named the “Large Bavarian at Oktoberfest”. The monster sandwich evolved from the petite ham-and-cheese Croque-Monsieur popular across the French-speaking world. The sandwich’s inventor, Daniel da Silva, first tried to introduce his monstrosity to the southern province of Alentenjo but it was not until he moved to Porto that it became a signature of the famed Capa Negra restaurant and a modern classic of Portuguese cuisine. Luis worked there as a boy in the evenings, after school, he says. This prodigal’s chef’s dedication to the recipes of his province has seen him turn his hands to squeezing his own Chourico. A professional body-builder of a sausage, red-tanned and popping its casing, the Phnom Penh Chourico is twice the size of the plastic-wrapped meat sticks available in most supermarkets. Luis imported from the old country until quite recently but he decided that the cost of importing high-quality chourico was too much to pass onto his customers. “At $17 or $18 dollars a sausage It was unthinkable for me to sell to a client,” he says. There are no concessions to convenience or affronts to authenticity when it comes to what goes into the Phnom Penh Chourico. The port wine and the brandy that line the restaurant’s office walls are from Portugal and poured in the right spirit. They use the best paprika and saffron. Each little box of saffron they import, the size of a small box of tea, costs $160 dollars with each packet containing one gram. The sausages are housed in sheep casing that they import from Australia and which naturally prevents the growth of bacteria. Luis barbecues and flambés them whole and uses them in a range of other traditional dishes like Portuguese seafood stew. His customers say they prefer them to the sausages he was importing. Luis and Fatima have no plans to retail the Phnom Penh Chourico and are reserving them strictly for restaurant patrons. Instead, the couple are focusing their efforts on another side game primed to go league; a small, specialist bakery just around the corner from Tasca do Antonio: FB Bakery. FB Bakery serves exclusively Portuguese pastries and other baked goods. The egg tarts and other baked goods are available at Tasca do Antonio. But all lovers of milk, honey and all things sweet, take note: a specialist pastry chef from Northern Portugal is winging his way to Phnom Penh and FB Bakery to enloaden our stomachs with a heteronomy of more delicious secrets soon. Call +855 10 837 027 to make a booking or reservation.